Sounds that will make you... jump! 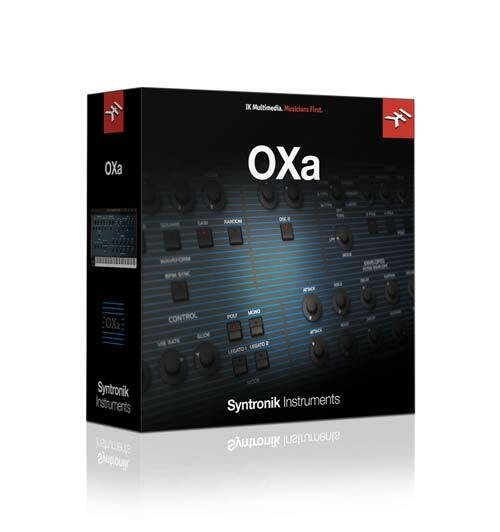 OXa provides two more timeless polysynths in Syntronik; the Oberheim OB-X and OB-Xa. Manufactured from 1979-1981, the OB-X was built on the foundation of the SEM and 4-Voice instruments. It was available in 4, 6 or 8-voice versions. 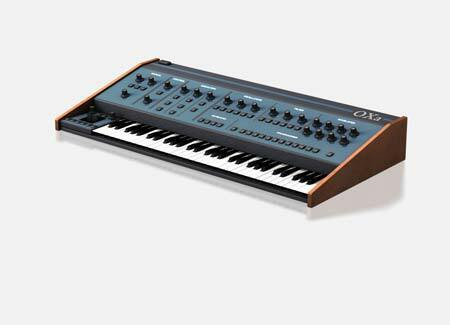 The OB-X voice includes two oscillators that could each be set to sawtooth or square into the signature Oberheim 2-pole low pass filter. Cross-modulation provides oscillator FM for inharmonic and bell-like tones, a feature that was discarded in the next-generation OB-Xa. However, the OB-Xa added a 4-pole filter option in addition to the standard 2-pole low pass filter. In the OB-Xa the FM cross-modulation feature of the OB-X was traded for a pitch envelope control that lets the filter envelope modulate the oscillator pitch, something especially handy for brass-like attack scoops. Like many its competitors, the OB-X and OB-Xa offer a Unison mode where all of the voices can be stacked together for a single monophonic layer of up to 16 oscillators and 8 filters. An iconic example of what the OB-Xa is capable of is the brassy sound used on Van Halen’s “Jump”. Instant classic!